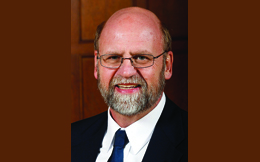 Dr. Fred Whitford is the coordinator of Purdue Pesticide Programs of the Purdue Cooperative Extension Service. He received a B.S. in wildlife management from Louisiana Tech University, and an M.S. and Ph.D. in entomology from Iowa State University. He has written four books, more than 200 research, extension, or regulatory publications, and has delivered over 4,000 presentations to a wide array of audiences.